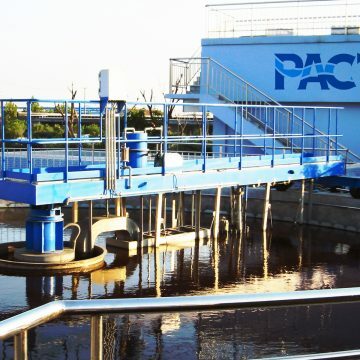 PACT® Industrial wastewater treatment – the mechanisms and processes used to treat wastewater that is produced as a by-product of industries. 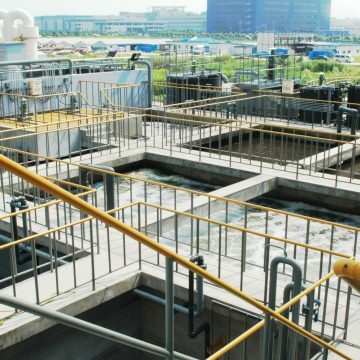 After treatment, the treated industrial wastewater (or effluent) may be reused or released to a sanitary sewer or to a surface water in the environment. 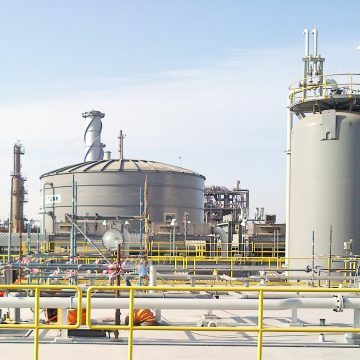 Primary treatment for the purposes of this manual will be limited to sedimentation with and without chemical addition. 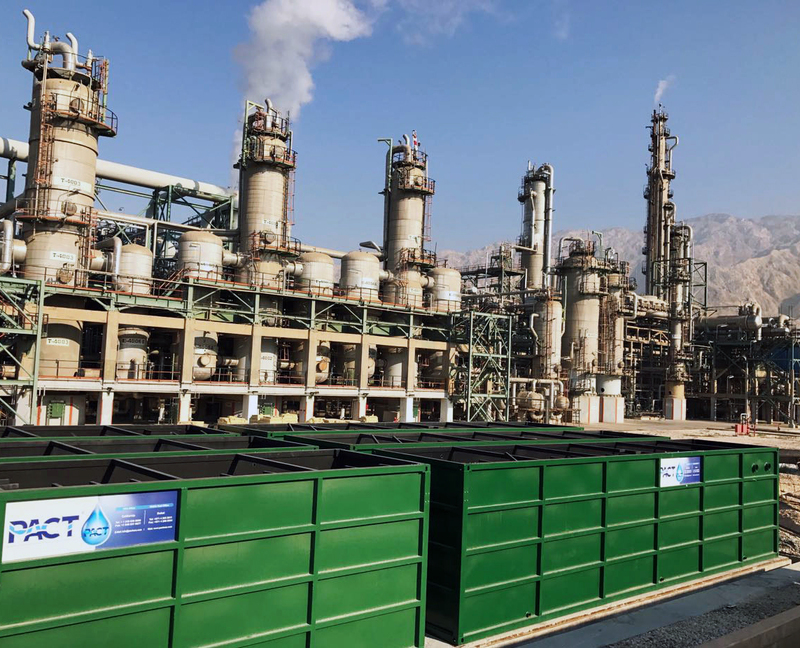 Other unit processes are usually combined with sedimentation as a part of “primary treatment”, including some degree of preliminary treatment, sludge treatment and disposal, and chlorination as a disinfection step. 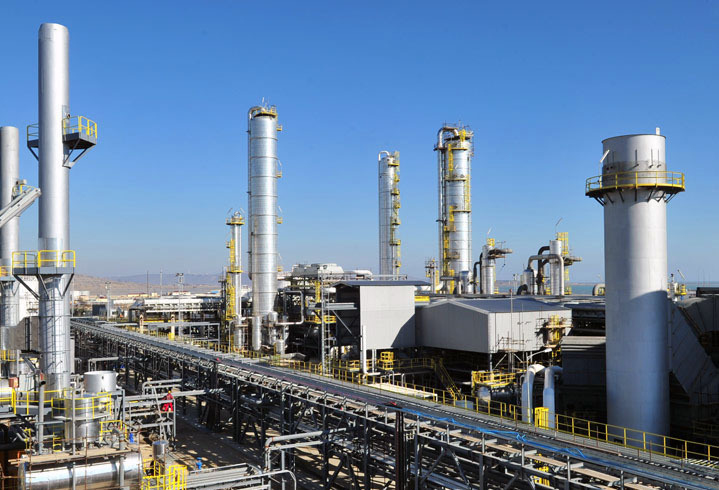 Physical Unit Operation: Treatment methods includes Screening, mixing, flocculation, sedimentation, flotation, and filtration. 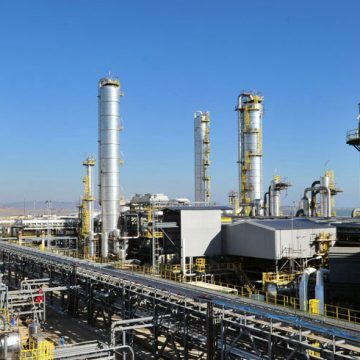 Chemical Unit Operation: Treatment methods in which removal or conversion of contaminants is brought about by the addition of chemical or by other chemical reactions. 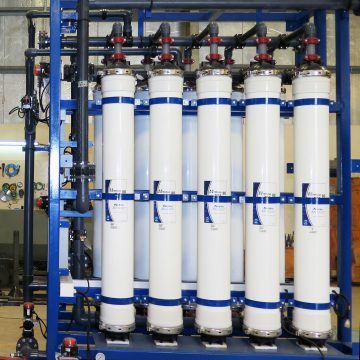 Disinfection, pH adjustment, neutralisation, oxidation / reduction are most commonly used in waste water treatment Physio-Chemical Treatment: DAF (Dissolved Air Flotation) – air is intimately contacted with an aqueous stream at high pressure, dissolving the air. 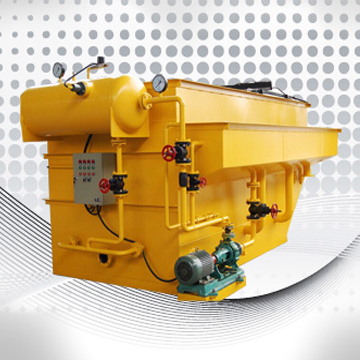 The pressure of the liquid is reduced through a back pressure valve, therefore releasing micron sized bubbles that sweeps suspended solids and oil from the polluted stream to the surface of the air flotation unit. Solids having a greater gravity than water tend to settle at the bottom and are removed by rotating scraper arms. Clean water passes underneath a skirt. 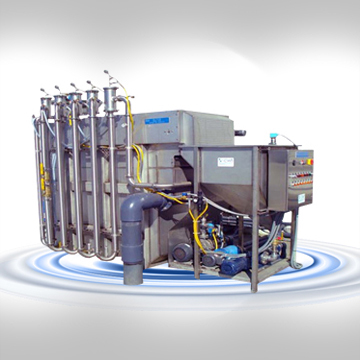 Biological treatment processes are those that use microorganisms to coagulate and remove the non settle able colloidal solids and to stabilise the organic matter. There are many alternative systems in use and each uses biological activity in different manners to accomplish treatment. 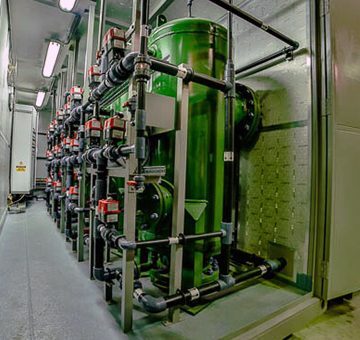 Biological processes are classified by the oxygen dependence of the primary microorganism responsible for waste treatment. 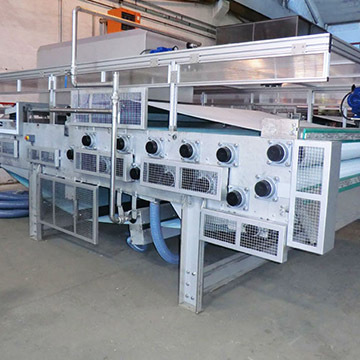 In aerobic processes, waste is stabilised by aerobic and facultative microorganisms; in anaerobic processes, anaerobic and facultative microorganisms are present. 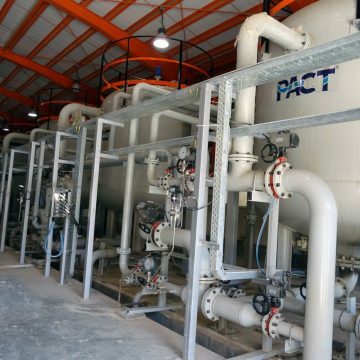 Activated sludge is a biochemical process for treating sewage and industrial wastewater that uses air (or oxygen) and microorganisms to biologically oxidize organic pollutants, producing a waste sludge (or floc) containing the oxidized material. 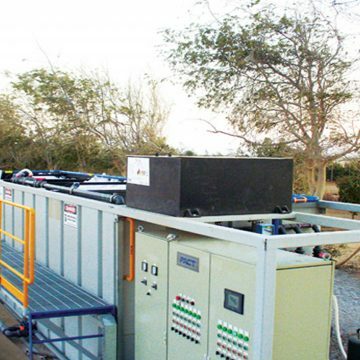 An aeration tank where air (or oxygen) is injected and thoroughly mixed into the wastewater. A settling tank (or settler) to allow the waste sludge to settle. 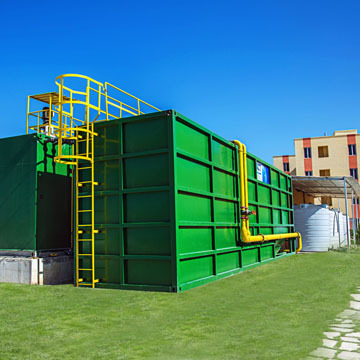 Part of the waste sludge is recycled to the aeration tank and the remaining waste sludge is removed for further treatment and ultimate disposal. 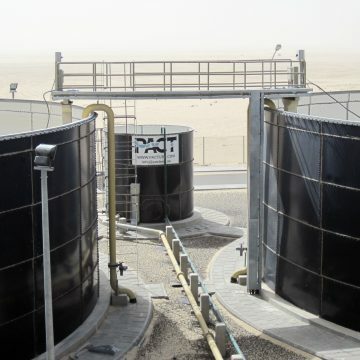 The Sludge resulting from waste water operations are usually in the form of liquid or semi solid liquid that typically contains 0.25 to 12 percent solid by weight. 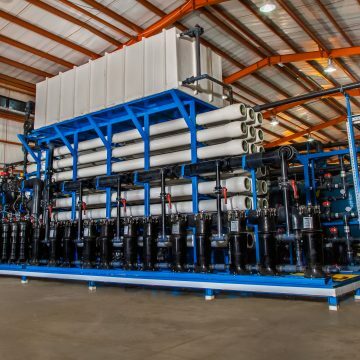 Reuse of treated waste water in various industries being a cheaper source of water supply where the industrial plant can reuse its own wastewater through recycling or it can be used for irrigation.